How does 8.9 cents per gigabyte sound? If it sounds good, then “pay what you use” pricing plan of PennyBackup will be just what you’r looking for. The software is basic but have all the essentials. Only thing lacking is really helpful customer support. Still, you can sign up now, if you can find the option! PennyBackup is a division of Storage Guardian and offers excellent online backup services to various clients. A lot of large companies have opted for Storage Guardian as their premium remote recovery and data storage provider for at least a decade. But for individuals and many small companies, they are found to usually choose basic yet powerful features over fancy ones. So, naturally the service provided by PennyBackup fits these requirements to a T. With a multitude of users around the world, PennyBackup strives hard to protect the most critical data. It provides easy-to-install and free software which users can use to backup and recover their data online. There are two significant things about PennyBackup. One is it’s noticeably straightforward and simple but powerful enough client software. And second is its “pay as you go” pricing plan. PennyBackup only has two pricing plans: Pay Per Gigabyte and Pay Per Terabyte. For Pay Per Gigabyte, you will be charged a flat monthly fee of 8.9 cents per gigabyte. This plan is best for customers who want to backup their personal and small business files. There is no limit on how many computers you want to backup. For Pay Per Terabyte, you will have to contact the sales team to get a price quote. It seems that they will give you discounts if you have large volumes of backup data. And their website also features discounts from time to time. One thing about “pay as you use” services is calculating your actual usage cost is always a headache. Let’s use typical scenario of backing up three computers and 50GB of data in total. At 8.9 cents per gigabyte, 50GB will set you back $4.45 per month. For 12 months, that is $53.4. This is comparable to Carbonite ($59/year, 1 computer), or more direct competitor Mozy ($5.99/month, 50GB and 1 computer). You are definitely not getting an unlimited storage deal at $5 a month like CrashPlan, but then for some people, paying for the exact storage they are using might bring them more peace of mind than a promise of virtually unlimited storage. All in all, I would say that PenyBackup pricing plan is in sync with its competitors. Backed by Asigara Technology. The company boasts of top-of-the-line Asigra Technology, a popular pioneer in terms of off-site data protection. 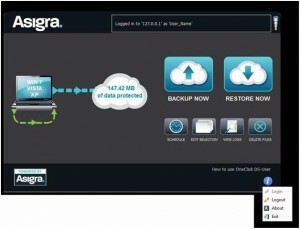 A leading innovator in off-site backup and recovery services, Asigra has been around for at least 25 years and their products and services are known to be both reliable and secured. Gartner, a technology research company, had recognized Asigra as a cutting-edge backup technology supplier and is the 1st dominant backup provider to obtain FIPS 140-2 security certification from the US government computer security standard. Flexible retention policy. 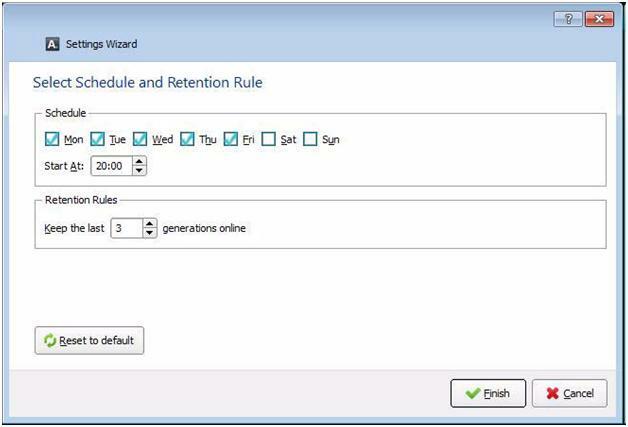 Unlike other backup providers, PennyBackup also gives you flexibility to define your own retention policies. You can tell PennyBackup how long to keep your data after you deleted it. Free software. Other providers may not tell you, but some cloud backup and storage providers definitely charge a small monthly fee for using their software (think Jungle Disk). But PennyBackup’s software, DS-Client, is provided as free. The software is easy to install because it has a built-in wizard which provides installation guidelines to customers. The software provides the capability for customers to backup instantaneously or to schedule it at a later time. Data recovery and restoration can also be done through the software. It has a very straightforward control panel. Efficient compression and incremental backup. PennyBackup will use high compression algorithms to compress your data into smallest possible sizes before backing up. And after initial backup, the software will only backup when there are changes or new additions. These are pretty standard affair but PennyBackup really highlights this. I find that PennyBackup doesn’t really boast a lot of bells and whistles, but for straightforward backups, it works pretty darn well. The pricing plan is quite attractive too. Since PennyBackup uses the Asigra technology, you don’t really have to worry about the security of your data because Asigra is known to provide high levels of reliability and security. As a matter of fact, Asigra is widely used by different companies worldwide and includes some of the best companies around the world. 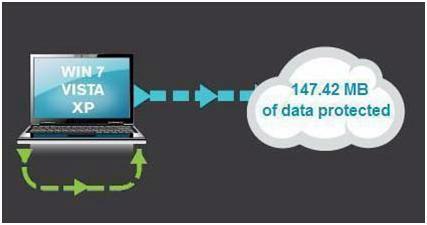 PennyBackup states that they provide 4 levels of security to protect customers’ data. For data encryption you can choose from 3 levels: AES-128, AES-192, and AES-256. AES-256 will be strongest and encryption keys are created depending on the kind of encryption level you choose. The key then becomes a part of the 4 security numbers. 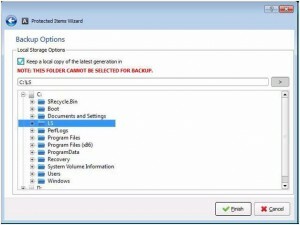 For data redundancy, two copies of backup files are kept by PennyBackup so that when one copy is corrupted or lost there is a second copy available. The versions of the backup files are stored in different locations. Although I think having just one data mirror isn’t enough, two is still better than one. PennyBackup’s parent company Storage Guardian provides online chat customer support from 9am to 5pm on weekdays. However, you will have to go to PennyBackup’s website to fill up the customer service form. Don’t expect much from their telephone customer support though. The FAQ page only has 2 questions and aren’t really helpful in anyway. Honestly, PennyBackup’s main aim is to provide no-frill backup service which is simple to use and downright affordable. I just wish they will do a better job with their FAQs and maybe provide some video tutorials or comprehensive user manual so that we don’t have to seek for support. In a nutshell, you get what you pay for. To take advantage of the free 30-day PennyBackup trial, you will have to request for the free software from the website. Then fill up a form. The link including the instructions will be emailed to you shortly. By clicking on the provided link, the software will be downloaded. The client software is only about 22.2MB so it’s not so big to begin with. But I seriously don’t understand why they have to put so much frictions and barriers just to download their software. How hard can it be to put up a download link and proper user registration system? 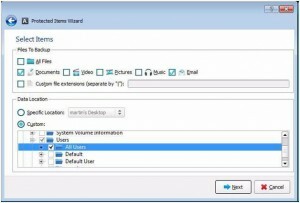 After installing, you will have to log in using the user account information provided by PennyBackup to you in the email with download link for their client software. Then a simple screen will be shown once the correct Login credentials are entered. It has buttons corresponding to Backup Now”, Restore Now”, Schedule”, Edit Selection”, View Logs”, and Delete Files”. At the lower right corner of the screen, other menu items like Login”, Logout”, About”, and Exit” are found. During installation, a backup set is created as default. 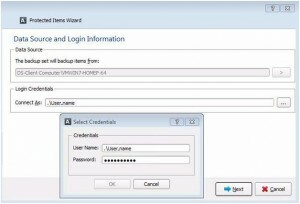 Any activity users do within the DS-Consumer Client software is connected with the default backup set. If you want to edit this default set, you can do so by pressing the Edit Selection” found on the first screen. 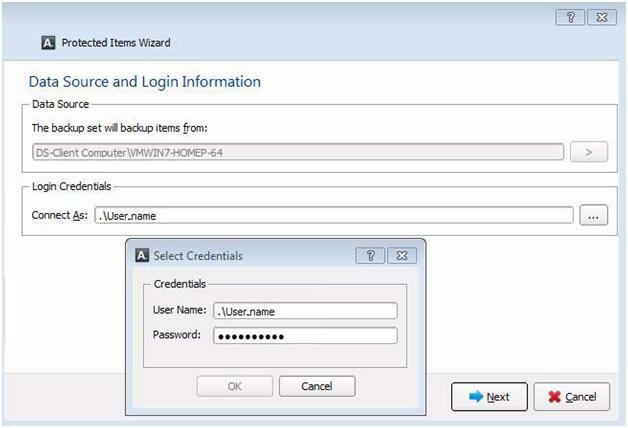 The Wizard will then appear and show the Data Source and Login Credentials. You can easily change your login details by clicking on Login Credentials. The Data Source, however, can’t be edited. By clicking Next”, the Protected Items Wizard will appear. In the Files to Backup” found on the upper part of the screen, you can choose to backup All Files”, Documents”, Videos”, Pictures”, Music”, and ”Email”. Depends on what you choose, appropriate file types will be chosen. If you so wish for, you can even choose particular file extensions to backup by entering them on the Custom File” prompt. At the lower part of the screen, the Data Location” offers the capability for us to choose the Backup Folder”. We can also select Specific Location” which allows us to choose from common data locations or Custom” which lets us choose the backup folder on our own. 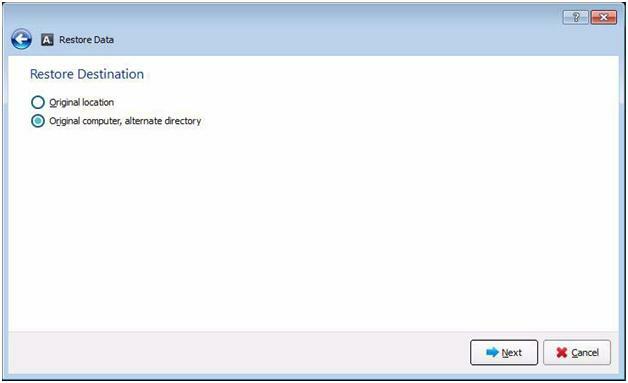 When finished with Files to Backup” and Data Location”, going “Next” will lead you towards the Backup Options” screen. 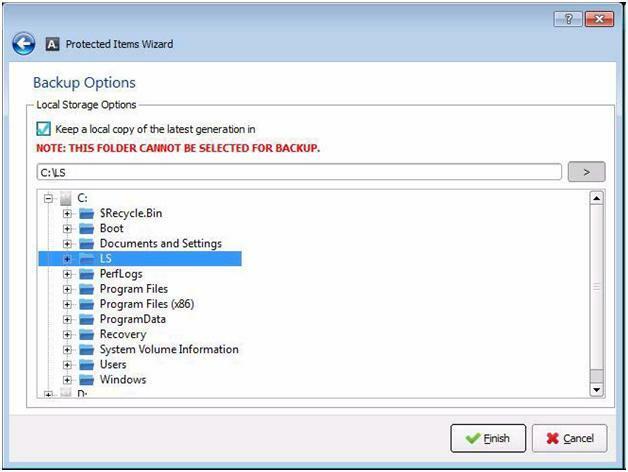 This is where you can save the latest backup in a folder on your computer. But then, in order to do this, you have to ensure that you have enough disk space to accommodate the backup files. If the Keep a local copy of the latest generation in” is ticked, you will easily notice a green local storage image on the main screen. This is especially useful if you want to have a local backup set for quick and easy access. Once done, then just click on Finish” to save the new backup set. If the local storage is chosen, the software will back up the files to the local computer’s folder if there’s no internet connection. Once the connection is established, the software will automatically send the backup data online. I could easily choose an external hard drive for local backup purposes so that I don’t have to do two backups manually. Much like different backup sets and destinations on CrashPlan. For backup process, we have the options to backup on-demand or schedule. 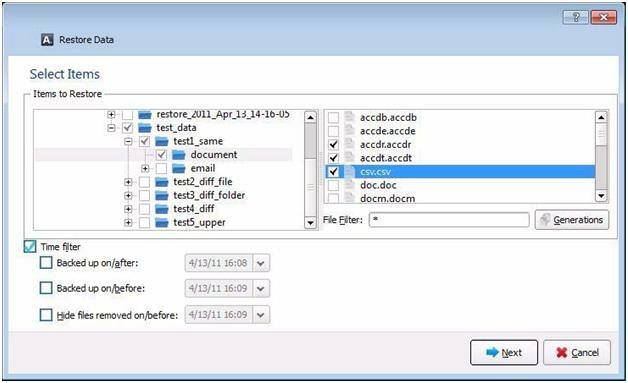 The default backup set will also create a schedule and automatically back up files as appointed. If you click the Backup Now” button, the software will begin with the backup immediately. An animation will be shown to inform the users that a backup is in progress. The Logs can be viewed to checked for any errors. Although PennyBackup’s client software is quite basic, it does have good scheduling options. 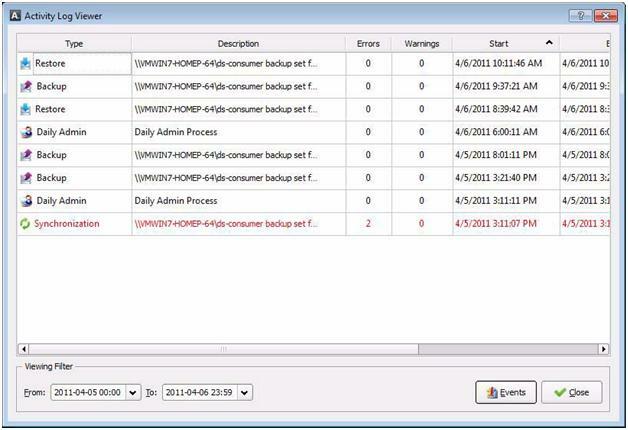 Users who want automatic regular backup will rejoice for Schedule” feature. The default schedule is for the software to back up files at 8pm on weekdays. We can edit the schedule and control it to fit our own time. 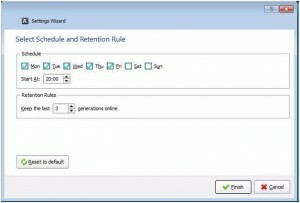 In case the service isn’t started or the computer is turned off, the schedule will take effect immediately when the computer or service is started within 6 hours from the appointed scheduled it missed. Restoring backups can be done solely through the client software and it’s on-demand. You can choose to restore all the files or choose some particular files only. To restore the backup, you will have to click Restore Now”. 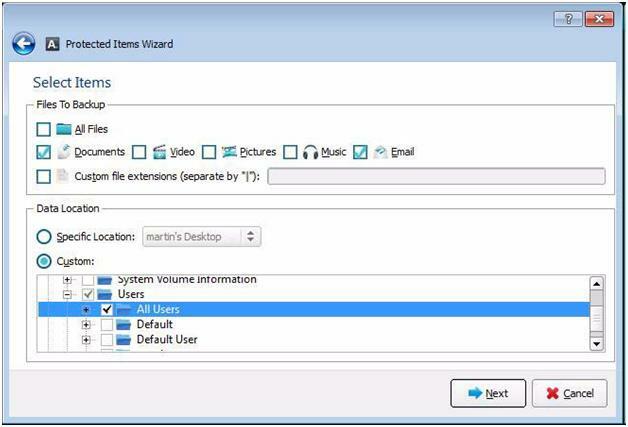 The Restore Data Wizard” will appear and then you can choose which files to restore. 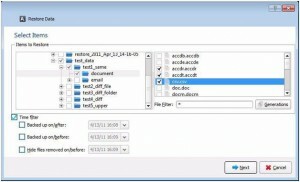 Once the files have been selected, you will have to choose between original location or original computer but alternate location. By choosing Original Location”, the files will be restores in their original folders on the local computer. When Original computer, alternate directory” is chosen, you will be taken to the Select Restore Directory” screen. Here, you can select the restores folder. 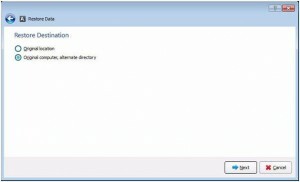 The Restore function will begin instantaneously and an animation will appear to inform users that restore data is in progress. The Logs can be checked for any errors. If you can to keep tab of your backup activities, restore details and such, then you can go to “Activity Log Viewer” which will show you all details. If you want to know about specific activities, you can click on Events” to forward youto the Event Log Viewer”. With every backup services I review, I ask myself one question – will I wholeheartedly recommend this service? With PennyBackup, I am torn. I like its simple “pay as you use” pricing and downright affordable rates a 8.9 cents per gigabyte. I also like that they try to focus on giving the users straightforward backup solution with good essential features while still maintaining scalability and reliability, and at the same time keeping the prices down. Then why would I feel torn? Two things. First thing first, their software is only for Windows as far as I can tell. I am running a business with several computers, all running Linux, Mac or Windows. Heck, I can still understand if they don’t offer Linux support but nothing for Mac? That’s just absurd. Second thing is about their customer support and weird way of downloading software. I have to fill in a form and send in a request to get the software, as if it’s some sort of privilege for me to earn. But in fact, they need me as a customer, not the other way round. When customer acquisition is very hard, they are still banking on several barriers to acquiring one. So I hope their software and service is pretty darn good to retain the customers. But if you are only using Windows, and want no-frill no-non-sense online backup service that won’t cost you too much, then PennyBackup is for you. Signed up about 3 months ago and they are good, I like their prices, and their software works good.